Maxwell was one of the standard bearers of the late 90s neo soul movement. The 1999 single Fortunate is his biggest hit to date. He's still around but long gaps in the release of new music has made him a forgotten man. He was born Gerald Maxwell Rivera May 23, 1973 in Brooklyn, NY. His mother is Haitian and his father is Puerto Rican. Maxwell's dad died in a plane crash when Maxwell was three years old. His mom was very religious so Maxwell grew up singing in church. He started playing piano as a teen. Influenced by 80s R & B, Maxwell performed on the New York club scene in the early 90s. He recorded a demo which got him a deal with Columbia Records in 1994. His debut album Maxwell's Urban Hang Suite was ready in 1995. But management changes at Columbia delayed the release for a year. When it was finally released in 1996, the album did very well. It was certified 2XPlatinum and the single Ascension was a top 40 pop hit. Maxwell's 1998 album Embrya didn't do as well and unlike his first record, it was not critically well received and there were no hit singles. While preparing to record his next album, Maxwell recorded Fortunate for the soundtrack of the 1999 film Life starring Eddie Murphy and Martin Lawrence. The music was written and produced by R. Kelly and Wyclef Jean. Fortunate reached #4 on the Billboard Hot 100 and the soundtrack CD was certified Platinum. It is Maxwell's biggest hit to date. Maxwell's 2001 CD Now did well. But he didn't record again until the 2009 CD BLACKsummers'night. It did well but it is Maxwell's most recent recording. 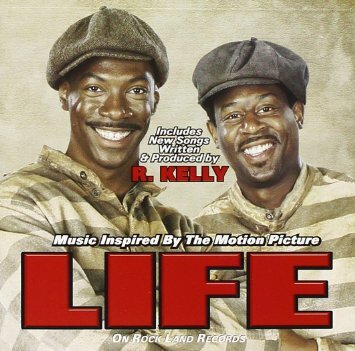 Columbia has not released a Maxwell comp but the soundtrack for Life was on Universal and is available as a budget CD. Maxwell had planned to record BLACKsummers'night as a trilogy but it hasn't happened yet. In 2014, he announced a 2015 release. Nothing. He still does live shows but he needs to release a new album or he will be forgotten. He recently teased a new single Lake By The Ocean on Instagram so maybe something is finally happening. Here's the video for Fortunate by Maxwell. This video is not on Youtube.